Good condition. 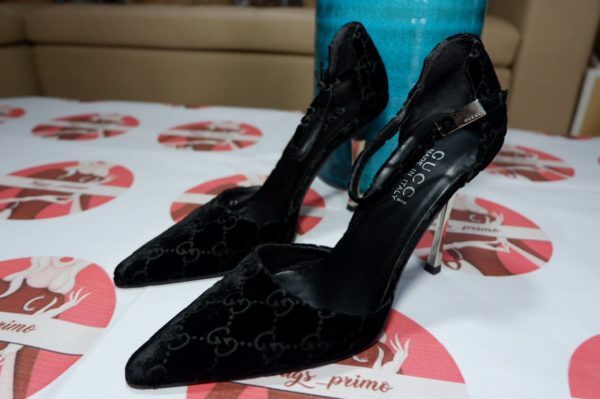 Authentic Gucci Velour GG High Heel Pointed Pumps Size 7. Unused. 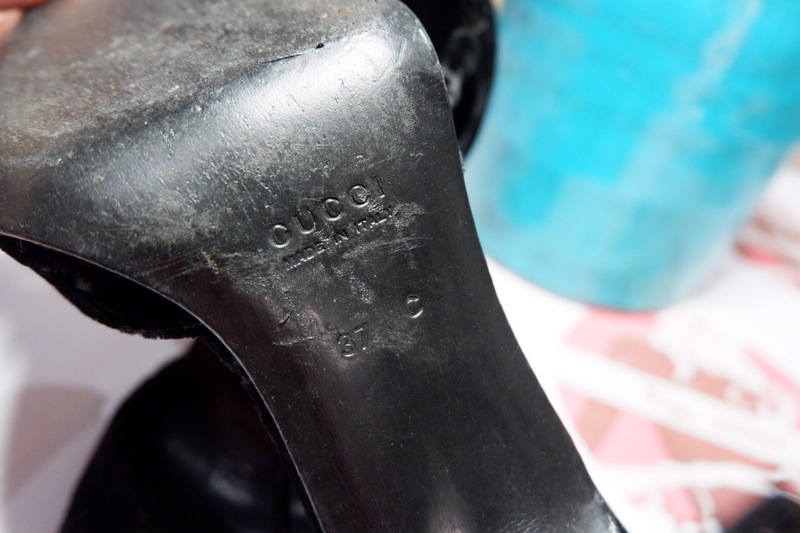 Authentic Prada Patent Navy Blue Ballet Flats Size 36. Manolo Blahnik Hangisi Champagne 115 heel. Size 37. Excellent condition. 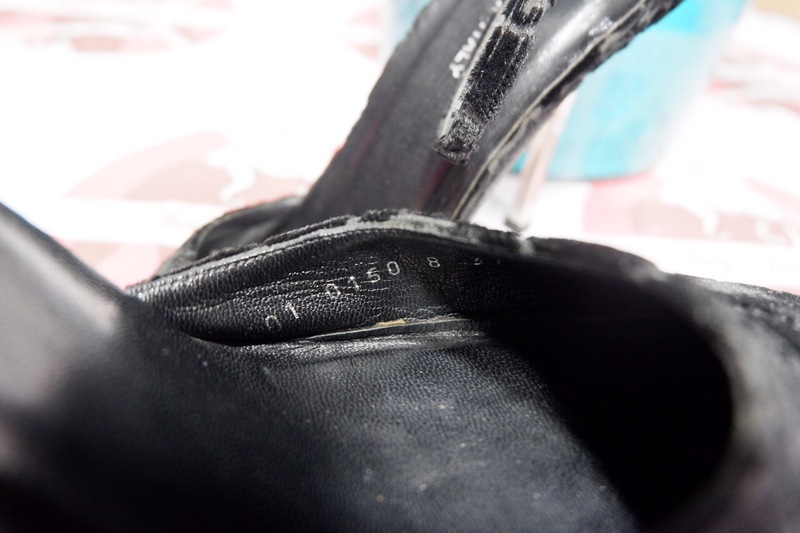 Authentic Manolo Blahnik Hangisi Champagne 115 heel. Size 37. Brand new. Authentic Salvatore Ferragamo Black Men’s Loafers. Size 36.